The Hollywood Reporter says that a new Star Wars: Episode IX writer has come on board. Jack Thorne, the British writer who wrote the upcoming Wonder, will work on the ninth saga film, to be directed by Colin Trevorrow. Trevorrow and Derek Connolly wrote the most recent draft of the script. Episode IX is scheduled to start production in January 2018 for a May 24, 2019 release. Thorne’s credits include British television shows such as The Fades, The Cast-Offs, The Last Panthers and National Treasure. 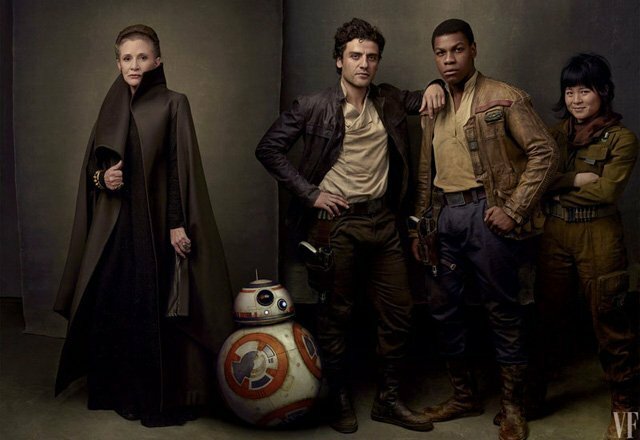 In related news, star John Boyega talked to ABC News’ Popcorn with Peter Travers and revealed more about the late Carrie Fisher’s role in Star Wars: The Last Jedi. It may be considered somewhat of a spoiler to some, so don’t read any further if you don’t want to know more about Leia in The Last Jedi. Star Wars: The Last Jedi is written and directed by Rian Johnson (Brick, Looper) and continues the storylines introduced in Star Wars: The Force Awakens, welcoming back cast members Mark Hamill as Luke Skywalker, the late Carrie Fisher as General Leia Organa, Adam Driver as Kylo Ren, Daisy Ridley as Rey, John Boyega as Finn, Lupita Nyong’o as Maz Kanata, Oscar Isaac as Poe Dameron, Domhnall Gleeson as Hux, Anthony Daniels as C-3PO, Gwendoline Christie as Captain Phasma, and Andy Serkis as Supreme Leader Snoke. New cast members will include Academy Award winner Benicio Del Toro, Academy Award nominee Laura Dern, and newcomer Kelly Marie Tran as Rose. The Last Jedi is produced by Kathleen Kennedy and Ram Bergman and executive produced by J.J. Abrams, Jason McGatlin, and Tom Karnowski.